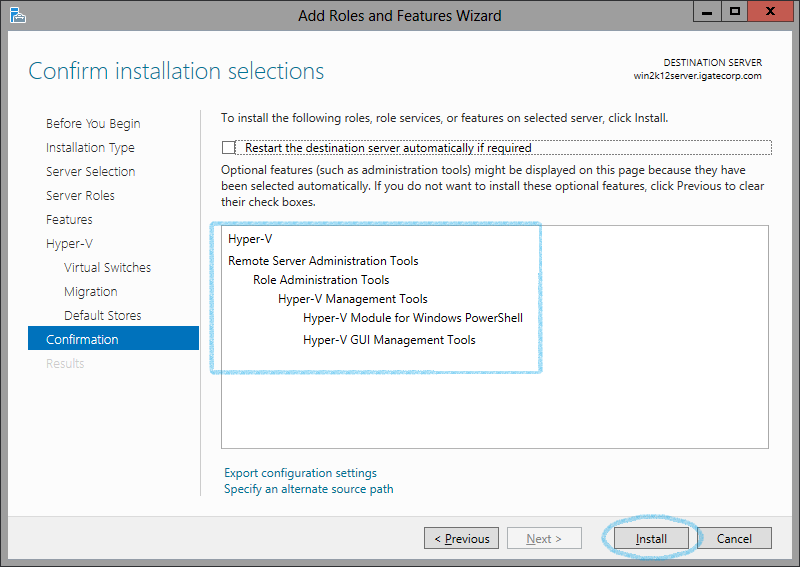 This tutorial will guide you through the basic steps of Installing Hyper-V role on a Windows Server 2012 machine. Once you have satisfied all the pre-requsites, lets get started!! 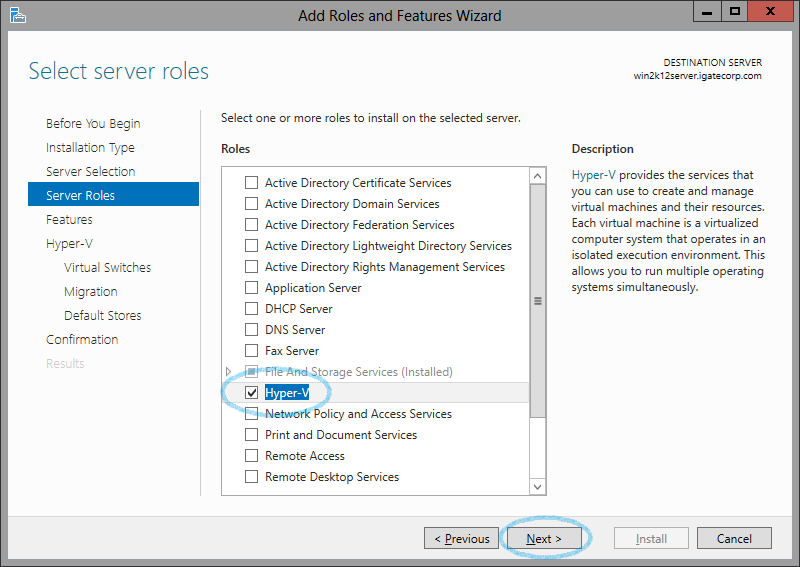 Launch the "Server Manager" and click "Add Roles and Features"
On the "Select Installation Type" page select "Role-based or feature-based installation", and click "Next". 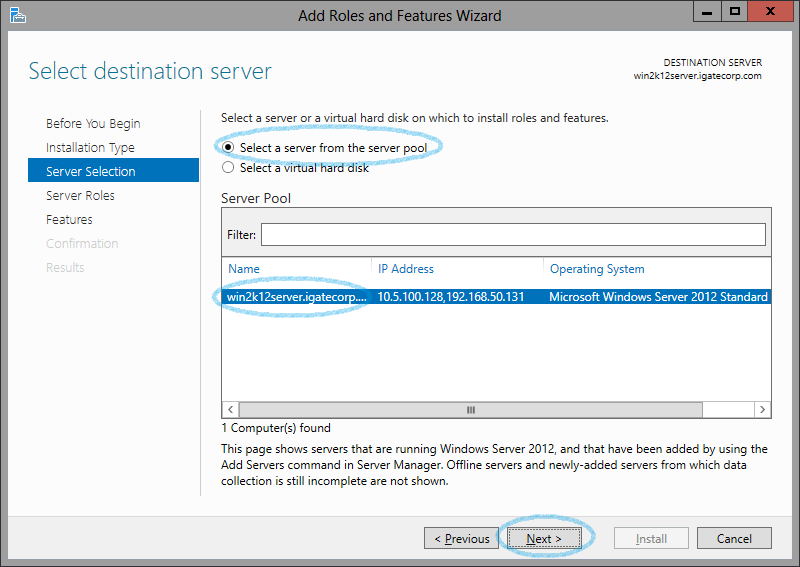 On the "Select Destination Server" page, select your server, and click "Next". 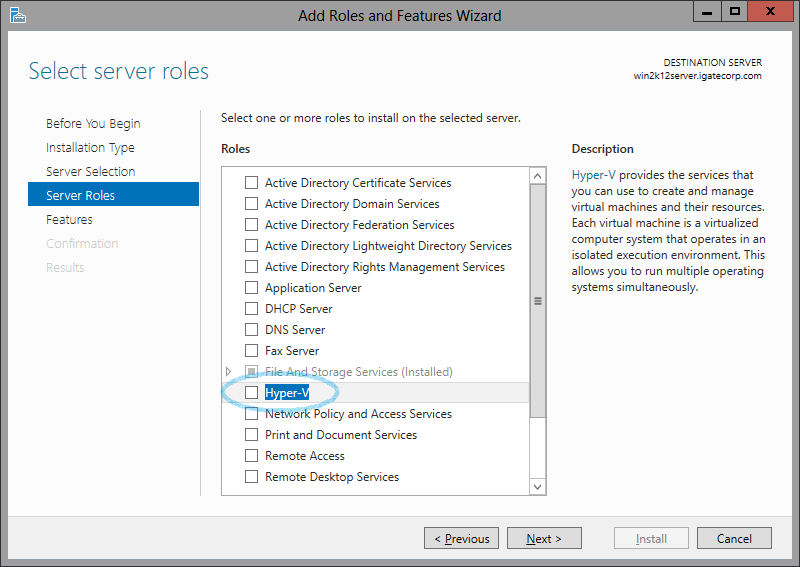 On the "Select Server Roles" page, select "Hyper-V"
NOTE: You may run into the following error in case you are trying to install Hyper-V in Windows Server 2012 inside VMware Workstation/ Player or some other Desktop based virtualization software. 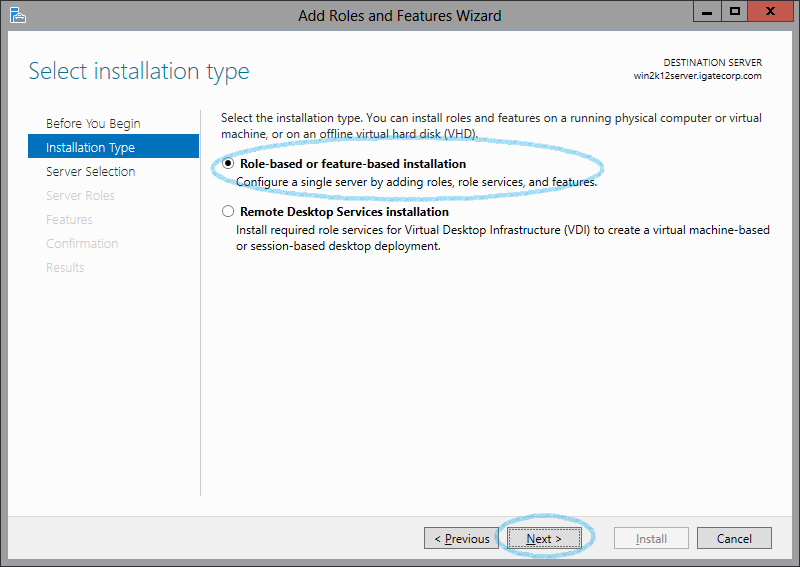 IMP NOTE: These FIVE steps are to be followed ONLY if you are experimenting with Windows Server 2012 hosted on a Virtual Platform; like VMware Workstation/ Player etc. 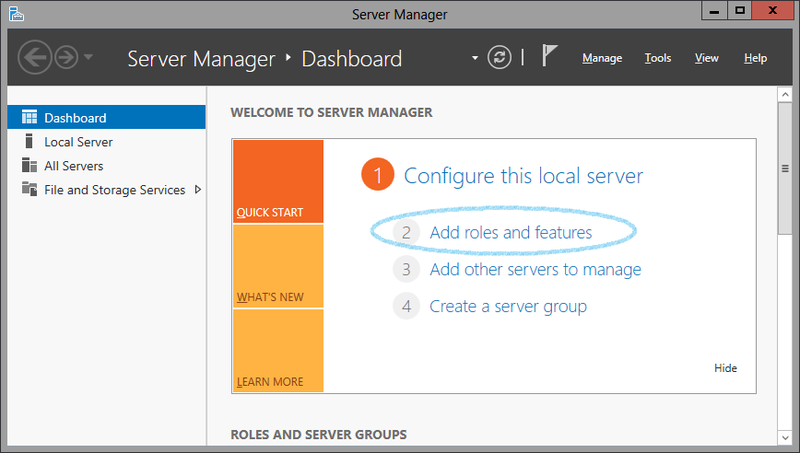 Step 1: Shut down the Windows server 2012 VM. Step 2: Locate the path to the VMX configuration file. 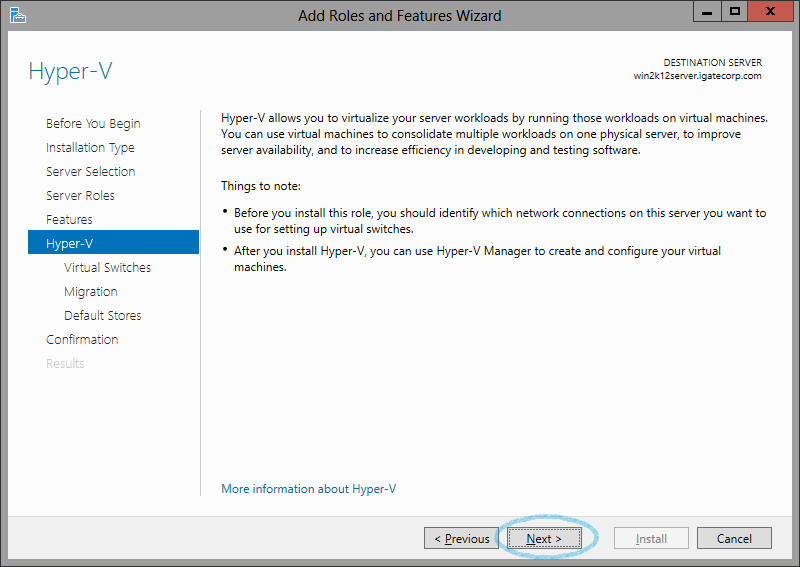 Step 3: Open the VMX file and add this line at the end of it (hypervisor.cpuid.v0 = "FALSE") This will get you past the "Hyper-V cannot be installed: A hypervisor is already running." error message. On the "Select Features" page, click "Next". 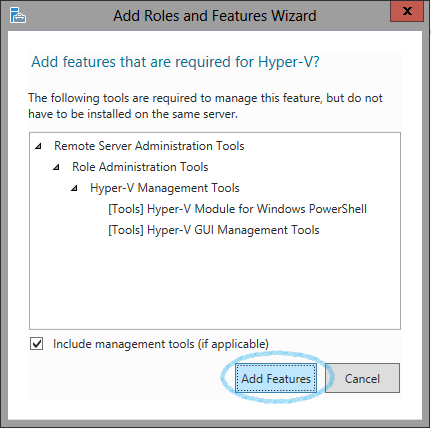 On the "Hyper-V" Page, click "Next". 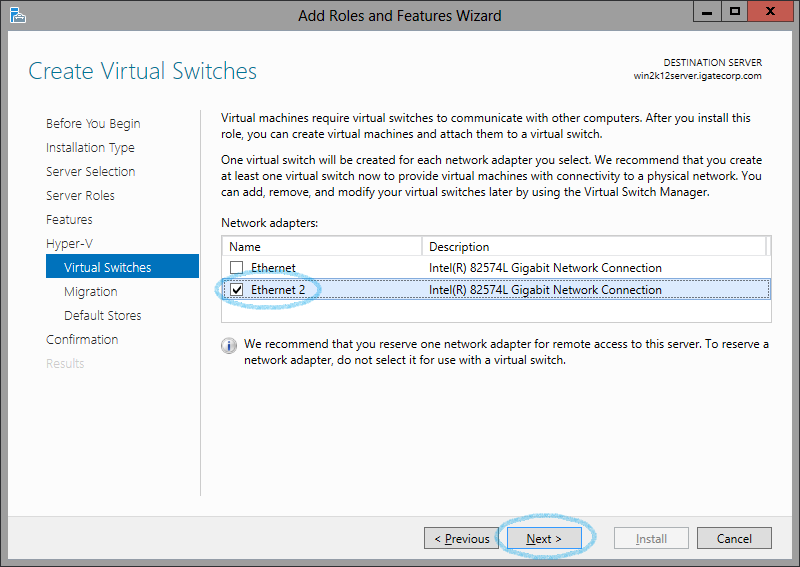 On the "Create Virtual Switches" page, select a network adapter, and then click "Next". 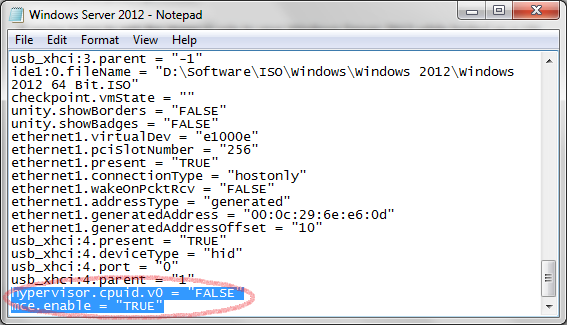 NOTE: If have a single NIC for your Windows Server, then use that NIC itself. In my case, I have two NIC cards, so I am dedicating one completely to handle the functionality of a Virtual Switch. 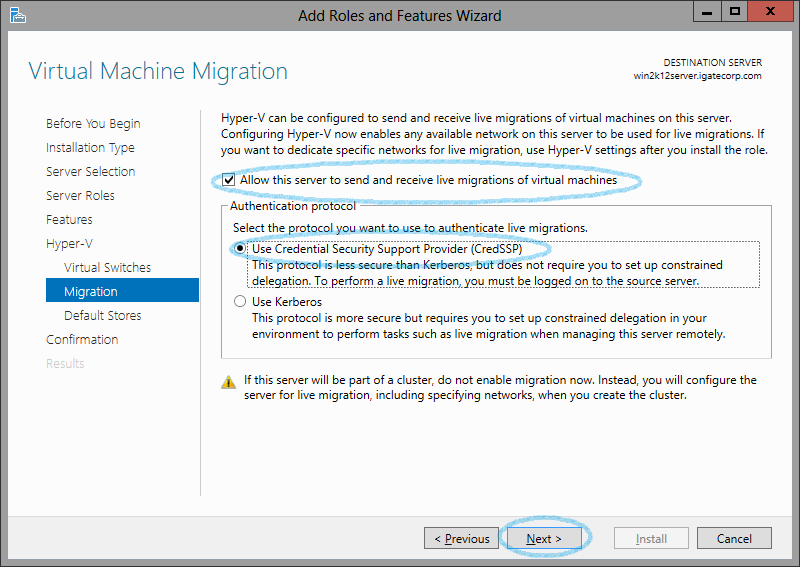 On the "Virtual Machine Migration" page, you can select the option "Allow this server to send and receive live migrations of VMs" if you want to enable Live Migration of VMs to and fro from this server. You can even specify the "Type of authentication protocol" you want to authenticate the live migrations. Once done, click "Next" to proceed. 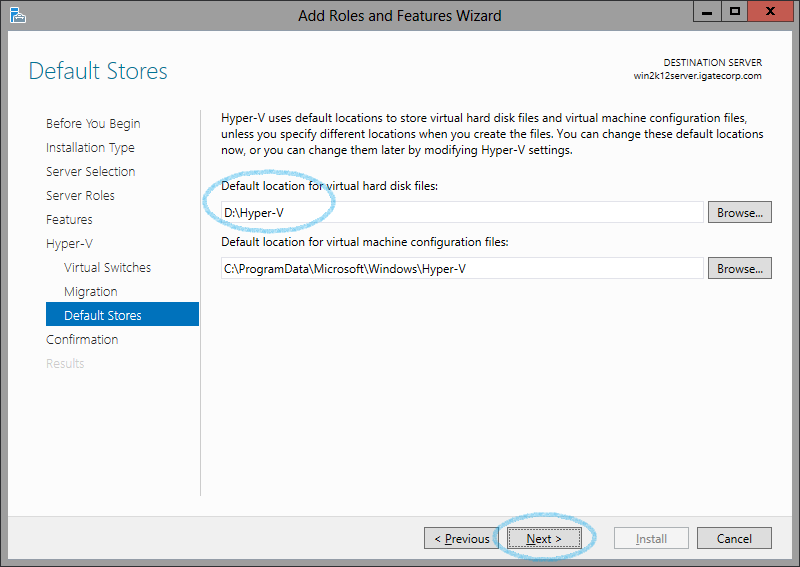 On the "Default Stores" page , you can select the locations where your VM disk files (Virtual Hard Disks) and configuration files can be stored. Click "Next" once you have browsed the locations as per your needs. 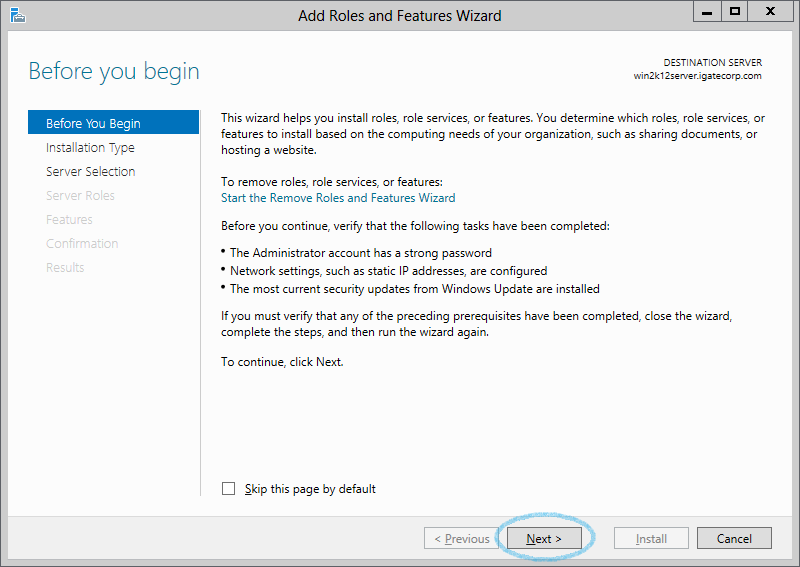 On the "Confirmation" page, you can choose to check "Restart the destination server automatically if required", and then click Yes in the following restart dialog box. In this case, I have not selected that option as I wanted to manually restart my Server. Click "Install" once done. 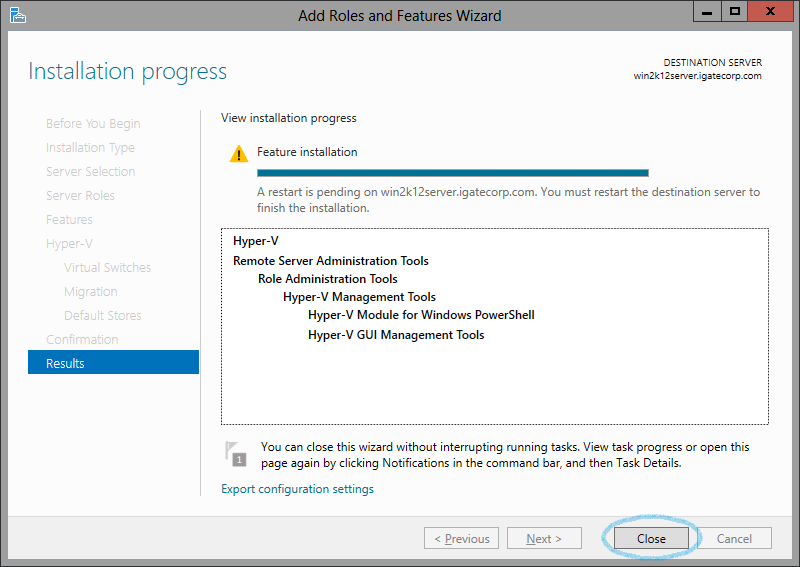 On the "Installation Progress" page, you can monitor the Hyper-V role installation. Once it completes, make sure to restart your server for the changes to take effect. 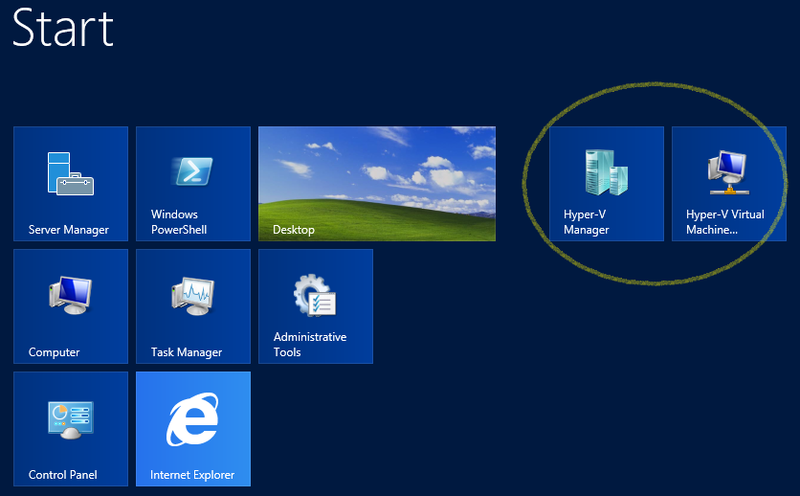 You can start the Hyper-V GUI from the Start Screen as shown below. 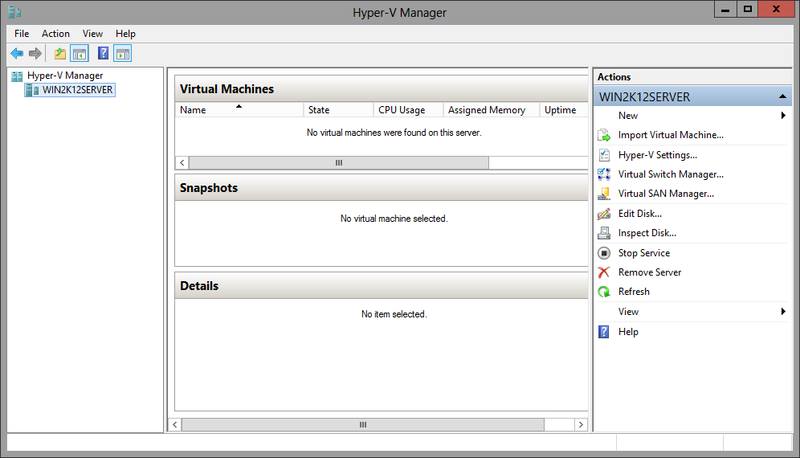 An MMC console for Hyper-V Manager that is just like the Windows 2008 Hyper-V UI will open, with a few new options. 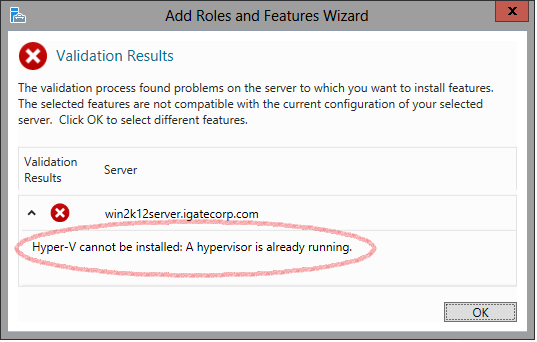 You should see your Hyper-V UI as shown below. 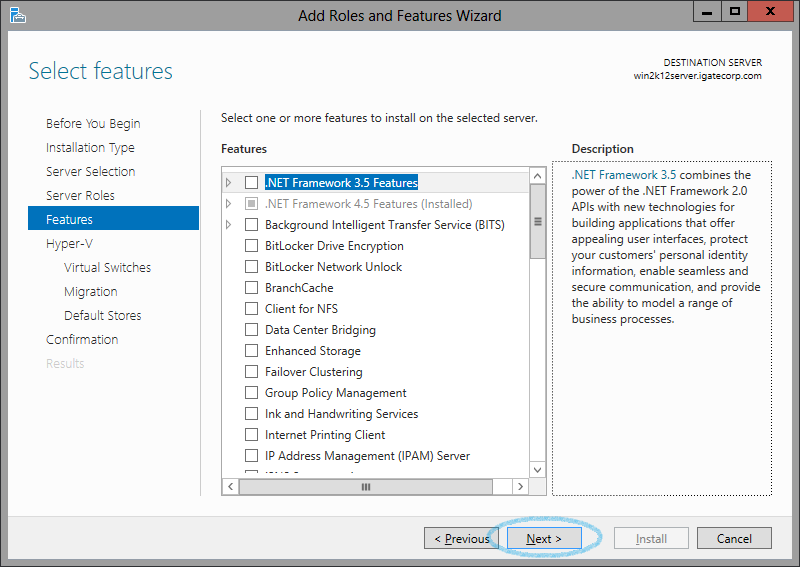 That's it for now.. but stay tuned for more such tutorials on Windows Server 2012 and Hyper-V ! !